Coconut Ham Kebabs – Axelum Resources Corp.
Blanch in boiling salted water for 1 minute. Drain. Mix desiccated coconut, flour, salt and pepper. Dip ham in egg then roll in coconut mixture. 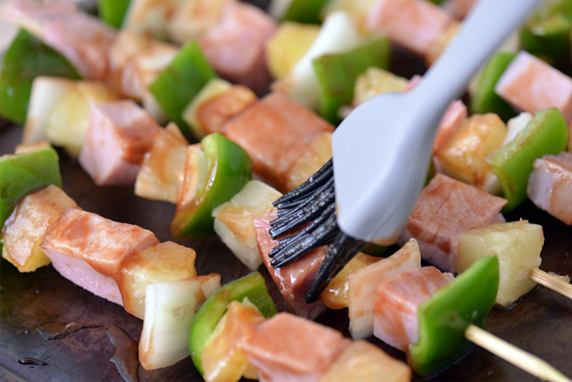 Alternately thread pepper, ham, pineapple, chunks and mushrooms on skewers. Broil until coconut is golden brown.